The Tacx NEO has been a major favourite among the indoor training cognoscenti since it's launch last year. Quiet, highly efficient and accurate, it's part of a new generation of smart trainers that have transformed the way we ride indoors. Tacx have now upped their game even further with the introduction of road surface simulation. You see cobbles on the screen, you feel cobbles on the bike. A whole new level of realism in the virtual cycling experience. Read on for more details on this amazing bit of kit. This feature enables the simulation of a descent and the dead centre in your pedal stroke. When you are going donw a mountain in a Tacx Film, virtual world or GPS based training, the wheel keeps spinning. Just like when you're riding outdoors. The NEO offers high power levels at low speeds, enabling accurate hill climb simulations, without the complication of calibration and maintenance. The NEO derives its strength from an electromotor containing 32 precisely positioned magnets that rotate around 30 coils. This exceptional accuracy ensures minimal power loss - almost close to nothing - when training. 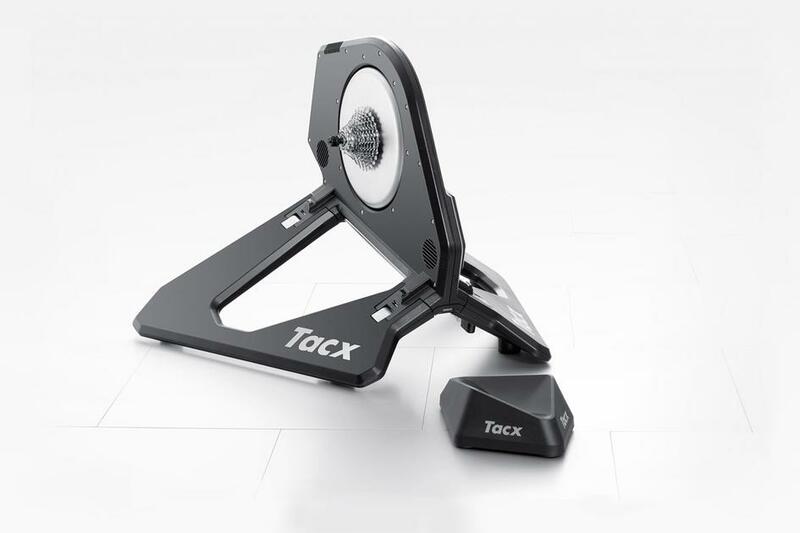 Tacx Smart trainers use the ANT+ FE-C protocol for communication which allows them to be controlled by third-party software. The software receives the speed, cadence and power from the trainer and controls the brake. Visit us in store to demo a Tacx NEO today and learn more.